Dr. Jonathan Drezner is a Professor in the Department of Family Medicine and Director of the UW Medicine Center for Sports Cardiology at the University of Washington (Seattle, WA – USA). 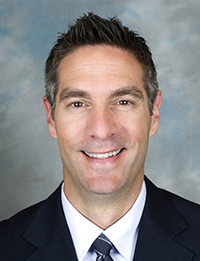 He is Team Physician for the Seattle Seahawks (NFL), Seattle Reign (NWSL), and the University of Washington Huskies. Dr. Drezner is past-President of the American Medical Society for Sports Medicine (2012-13) and serves as Deputy Editor for the British Journal of Sports Medicine. He is also Director of the Division for Cardiac Injury in Sport for the National Center for Catastrophic Sports Injury Research. Dr. Drezner has dedicated his career to the prevention of sudden cardiac arrest and death (SCA/D) in young athletes and the development of effective models for prevention. His primary research focuses on the incidence and etiology of SCA/D, cardiovascular screening and ECG interpretation in athletes, and emergency response planning and the use of automated external defibrillators (AEDs) in the school and athletic settings.